EUC Red BeBe Trench Coat. Shipped with USPS Priority Mail. Retail $695 Maje Trench Coat. Condition is New with tags. Shipped with USPS Priority Mail. Dark Olive Green with Black Polka Dots. Shoulder Pads. Missing Lining that zippers in. Double breasted with 6 large silver buttons 2 pockets. Excellent pre-owned condition, maybe worn 1-2 times. Shows little to no wear. See photos for all details. Chico’s size 1 - equivalent to women’s medium or 8 Chico’s Black Label Pink Rain Jacket Trench Coat Belted Size 1 Merdium 8. Condition is Pre-owned. Shipped with USPS Priority Mail. In very good condition. No stains, tears or holes. A few buttons feel a little loose. 33.5” shoulder to bottom hem. Boden Ladies Navy Spring Trench Rain Peacoat Jacket With Big Buttons US10 UK14. Condition is Pre-owned. Shipped with USPS Priority Mail. Missing the removable hood (has buttons under the collar). Otherwise, excellent condition...I see no flaws or scents. The Coat is made of 97% Algodon/3%Spandex. The coat is in Excellent condition. THOSE WHOSE HEARTS SEEK GOD, SHALL FIND HIM! HE DIED FOR US, LIVE FOR HIM! 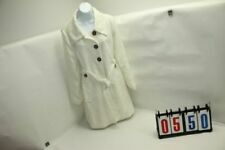 Old Navy women's khaki trench coat, size large. Button down, with fabric overlay for modern look. Pockets at hips, belted, D-ring fasteners at cuffs. Hits at hips. Machine washable, for easy care. Classic look! All pre-owned items washed before sending, unless otherwise specified. All items come from a pet-free, smoke-free home. Can combine shipping for multiple items. 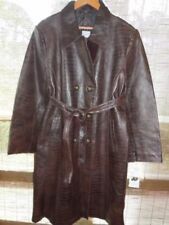 Up for sale is a classic BLACK London Fog Car Length Trench Coat. Button front, Adjustable belt, two outside pockets and long sleeves. Top Shoulder to Bottom Hem: 29". Arm Pit to Bottom Hem: 20". Arm Pit to Arm Pit: 18". Trending at $25.25eBay determines this price through a machine learned model of the product's sale prices within the last 90 days. 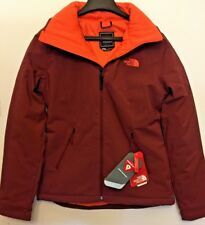 The North Face Laney II Black Rain Trench Coat - Women's XL MSRP $180. In PERFECT condition. Shipped with USPS Priority Mail. Crazy Horse A Liz Claiborne Co. Knee Length Sturdy Coat Women's XL Reversible Light Green one side/Blue Red Yellow Floral Other Side Reversible 100% Cotton Lightly Used Condition is Pre-owned Good Shipped with USPS Priority Mail. 2 front zippered pockets. Length 26". Sleeve 25". Zipper 24". Armpit to armpit 24". Cuffs 1.75". 2 inner pockets. The belted overcoat is a new take on our favorite long linen trench. 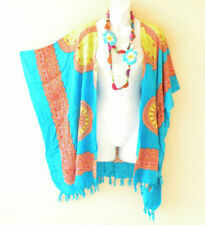 Wear it open or tie it up, throw it over jeans or a dress, this is the most wearable light layer you will ever own! 55% linen, 45% rayon. Excellent Condition with no defects or flaws to note. Feels like a textured vinyl - is polyurethane. Belted Button Down Lightweight Spring/Fall Coat. Will repel rain so a bit of a raincoat. Rich somewhat shiny black. Size Small. 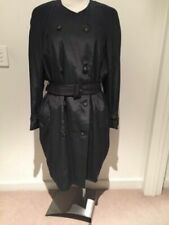 Measures 20” Armpit to Armpit 27” Long from nape of neck to hem Sleeves are 25” long Belt is 57.5” long Cute Outer Edge Belted Short Trench Coat Jacket Sz S Vinyl Polyurethane Black. Condition is Pre-owned. Shipped with USPS Priority Mail.